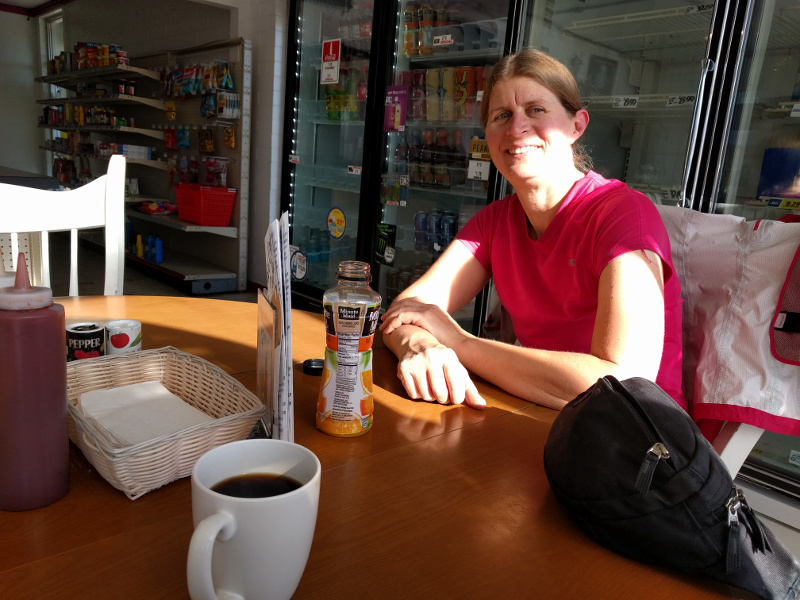 Today we took our second “coffeeneuring” ride (see the post on our first ride for more information). 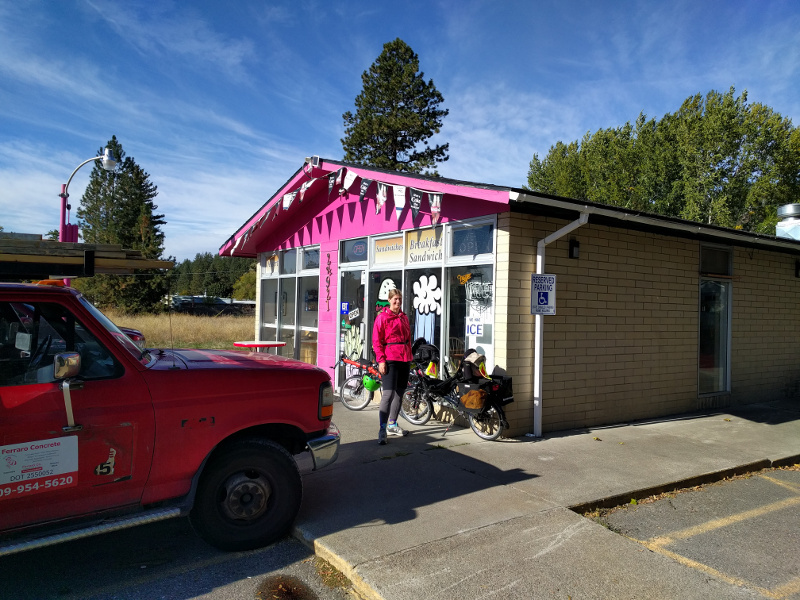 It was kind of a blustery day, and we had some things to do this afternoon, so it was a short ride: 6.2 miles round trip to the Far Cry Cafe at E 24921 Trent Avenue near Newman Lake, which we have driven or ridden by many times and had been meaning to check out. We took our usual route towards Newman and Hauser lakes, avoiding riding on Trent, which is pretty busy. This cafe used to be a donut shop, but it changed hands about a year ago, and is now serving “good hole in the wall food” (according to the sign out front). We thought the food was good, actually — we enjoyed a corn dog (Zach) and fries (both) — and they have rave reviews on their Facebook page for their burgers. Unfortunately for me, however, the only hot beverage they had was coffee (they should have more options in a few days, as they just got a new espresso machine — they just have to get it hooked up and learn how to use it). So, Zach had some coffee, and I settled for orange juice. Anyway, it was a pleasant ride. And when I got home, I finally diagnosed and fixed an annoying noise I’d been having recently in my front brakes, so hopefully I’ll enjoy the next ride even more!